Catalina Home was originally founded in 1975 as a high-end nylon carpet manufacturer under the name Catalina Carpet Mills. As the demand for high-end hard surface flooring began to increase the decision to enter this market came in 1994. 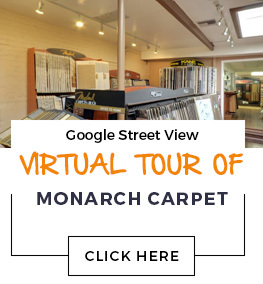 Today we are still owned and operated by the original founders, however we have added wool carpet, rugs, porcelain tile, and hardwood flooring to our portfolio of product offerings. All Catalina Home products are developed to complement one another and work cohesively. Our goal is to offer a complete product line including all major flooring categories that have total continuity. Our interest is the high-end niche segment of the market and it’s also our success. Floor covering is a very large industry with many choices and a huge selection of products. Whether it’s our carpet, rugs, tile or hardwood you are looking at, Catalina Home rises above the horizon with distinctive California styling backed by a proud history of integrity, quality, and service. Catalina is known throughout the industry for its uncompromising, superior quality products engineered for beauty and performance. Distinctive styling and colors that are continuously updated keep Catalina in concert with today’s design trends. Catalina’s distinctive California styling has always offered a unique choice of different and unusual products. Catalina’s product development often leads to original styling through the creative use of raw materials and manufacturing techniques. From the finest quality yarns and woods, Catalina products are constructed to meet the expectations of the high-end residential marketplace.